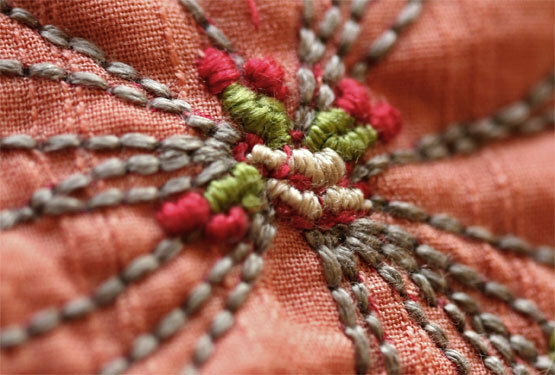 I adore backstitch. 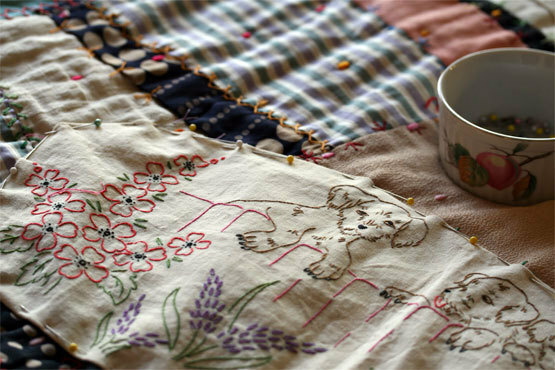 I use it when I don't want to think too much, so I can stitch and daydream to my heart's content. Jude may recognise this fabric, seeing as how she gave it to me. The flowers were printed on already, but it was so buttery to sew that I just sort of kept on going, and coloured in for awhile. 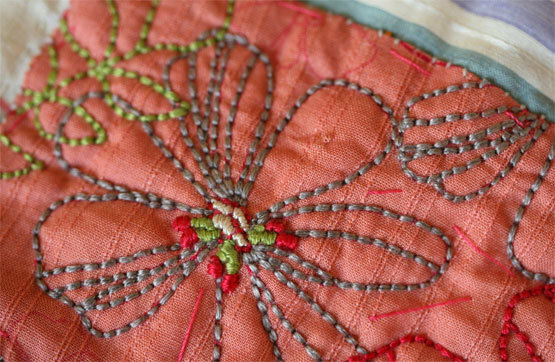 The next patch is for Bobby La and her outrageously magnificent crazy quilt, that has me thoroughly resolved to go over the edges of my patches from here on in. 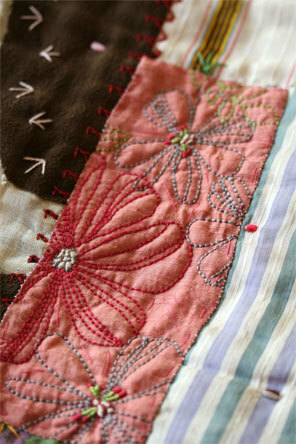 Not to mention her current obsession with vintage transfer patterns, that have had me cross-eyed with amusement. We could all use a little more kitsch in our lives. We wouldn't want to be taking things too seriously, now. Here are some of the weirdest-looking pups I've ever seen. I don't know whether to laugh or have nightmares. But more about that later. I have to sew it yet.